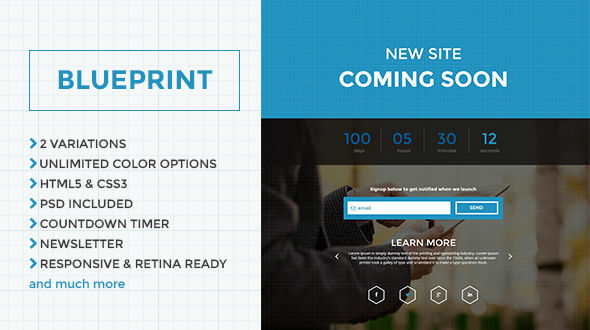 BluePrint is a clean and modern landing / coming soon page with a countdown timer and a subscription form. It comes in 2 variations, and color possibilities are endless. 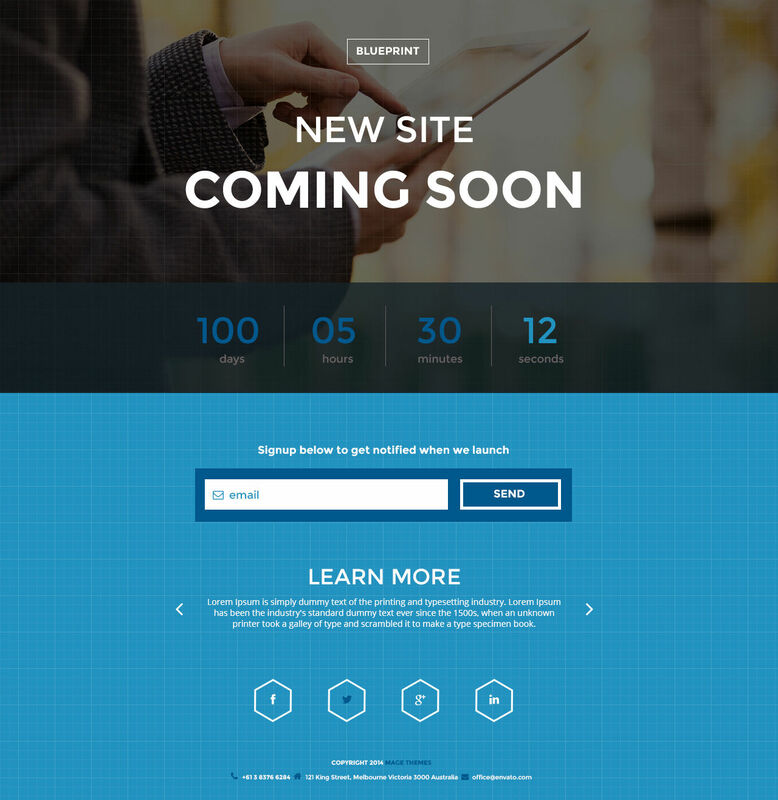 Increase the level of anticipation with countdown timer and collect subscriptions. Tell your visitors what your site is about and what they can expect after launch and keep visitors updated via social networks. - Great documentation and customer support!